With the OLED display module wired and going the next step is to get the DHT22 and the bump sensors wired to the Arduino. This step will take us closer to getting the Arduino reading the sensor data and then sending it across the interent. Once the above wiring is completed, next step is to setup the code to get the Arduino to talk to the modules. 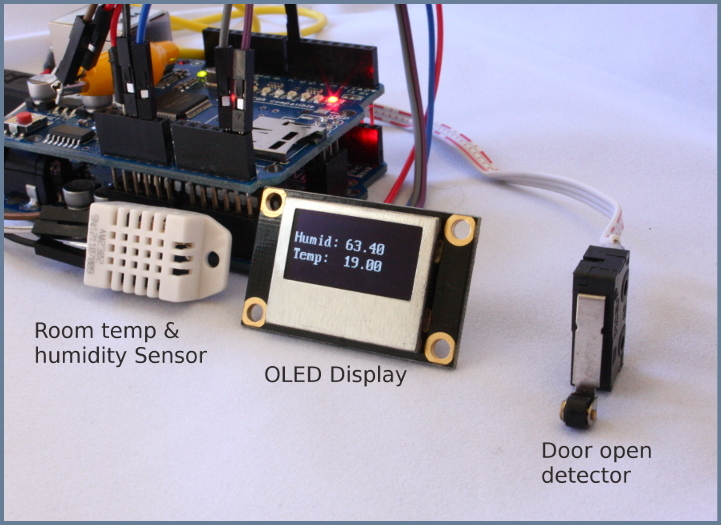 To test the OLED display , Bump Sensor & DHT22 Sensor, Download and unzip the DHT library to the libraries folder under in the Arduino IDE directory, mine is "c:\arduino-1.0.5\libraries". Then download the code TestNetSensor and open it in Arduino IDE. 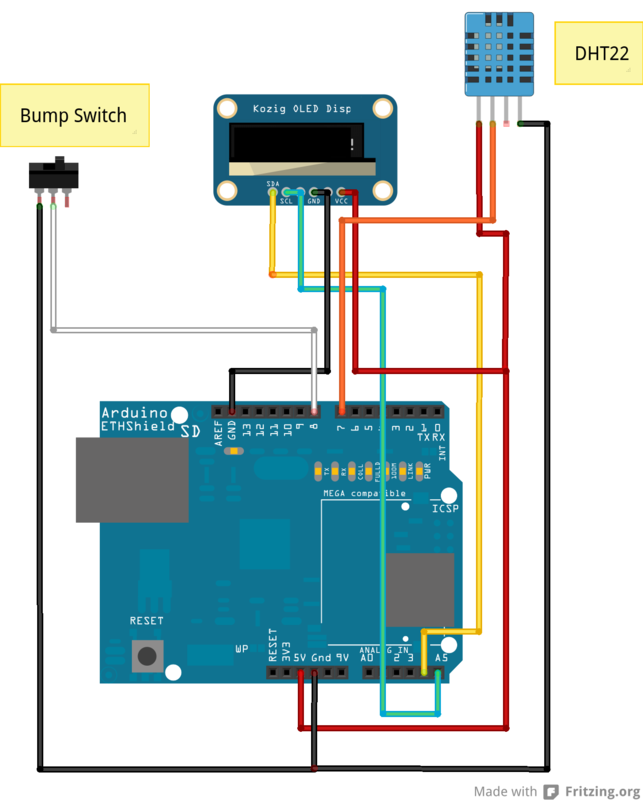 If the wiring is correct and the code is downloaded once you reset the Arduino by pressing the Reset button, The OLED display should come to life with the humidity and temperature reading on the screen.